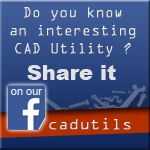 gCADPlus is an affordable easy-to-use CAD tool for professional landscapers. Use AutoCAD commands in a familiar environment to quickly create plans from templates by dragging and dropping symbols or entire designs into place. Cut drafting time and experience the power of automated landscape CAD software. Choose from hundreds of professional symbols or create your own. Re-use previous design work in new jobs. Simplify plant selection by attaching plant database lists and filter those lists to find the correct species for a particular purpose. Automate the creation of plant schedules, ground cover spacing and extract quantities for costing. Store extra data with any entity..